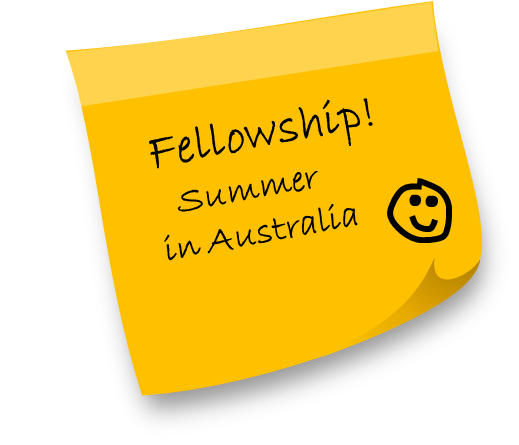 Two Melbourne-based fellowships are available for international PhD students and Post docs from January to March 2013! The new Trauma Recovery Lab within Monash Injury Research Institute aims to understand and facilitate children’s recovery from traumatic stress. Prior research showed that adults play an important role in children’s recovery but it remains unclear what their interactions look like. We conduct studies regarding the support provided by emergency professionals and parents, using a mix of research methods with an emphasis on quantitative, observational approaches. Emergency professional – child interaction: How do emergency professionals provide ‘psychological first aid’ to children? What is their knowledge of traumatic stress? How do they experience providing psychosocial care to children and families? In collaboration with the Royal Children’s Hospital Melbourne and the Australian Centre for Posttraumatic Mental Health, our lab is conducting an interview study and developing a questionnaire to measure professionals’ knowledge and use of psychological first aid principles when caring for children and their families. Parent – child interaction: What do parents do to support their children after trauma? And how do parent-child interactions relate to children’s recovery? Our lab is setting up studies in collaboration with the Royal Children’s Hospital Melbourne and the University of Arizona to a) describe the nature and correlates of parental communication with children in the aftermath of traumatic injury; b) identify differences between parent-child communication after trauma and in normal situations; and c) understand how patterns of parent-child communication shortly after serious injury are related to children’s long-term recovery. The Trauma Recovery Lab aims to be a place of lively international exchange and collaboration. Therefore, it offers 2 fellowships for entrepreneurial, motivated international PhD students / Post docs to participate in the lab’s research for 6 to 10 weeks from January to mid-March 2013. In addition to the research project, the visiting fellows will be offered a program in which they a) take part in interdisciplinary research meetings at Monash Injury Research Institute, b) meet with mental health researchers and clinicians from various institutions in Melbourne including Royal Children’s Hospital Melbourne, and c) give an invited presentation on their work in their home country. The fellowships are expected to lead to the submission of at least one collaborative peer-reviewed article at the end of the program. The award of a position includes a 5000 AUSD contribution to travel, visa and housing costs (arrangements to be made by the fellows themselves according to their wishes). To apply, send your motivation letter and CV to Eva Alisic (firstname.lastname@monash.edu) by the 1st of October 2012. Please indicate which of the two research topics has your preference and which period you are available. Skype interviews will be conducted in the week of 8 October and applicants will be notified of the outcome by 15 October. For further information, feel free to send an email with your questions to the same address. This entry was posted in News & conferences and tagged fellowship, Monash Injury Research Institute, scholarship, trauma recovery by Eva Alisic. Bookmark the permalink. The Trauma Recovery Lab has moved..